We have found the following links to online tools to very useful and therefore pass them on to you. FavIcon from Pics - Would you like to display your own icon on the browser address bar when visitors view or bookmark your web page? Image Embellisher - Looking for a quick and easy way to apply special effects to your images? Buddy Icon from Pics - Would you like to add your own icon to instant messengers, bulleting boards and other places that accept custom icons? Online Image Splitter - Online Image Splitter makes it easier to slice images and download the HTML tags for pasting the slices back together. The tools mentioned here have been used in many of the articles and found to be very useful. These are simply suggestions as there are many similar substitutions that can be used that will perform just as well. If you have a suggestion for this area, please use the Submit Article link. This by far is my most useful tool in my fairly extensive set of tools. It rarely leaves my side when working around the house or on most projects. It is most useful as a screw and/or nut driver. It does have a drawback when actually used as a drill motor because of the friction, hand tight chuck. The chuck will slip on anything but light duty drilling. For anything more than light duty drilling, I would suggest the use of either a drill press or a heavy duty drill with a key type chuck. 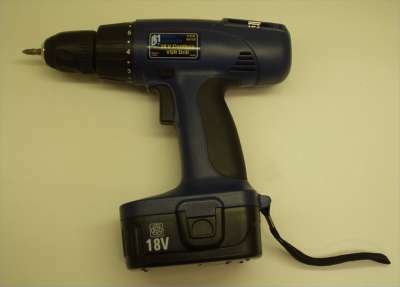 This particular brand (Drill Master - 18 volt) was purchased at Harbor Freight Tools for around $35. What a deal! For $35 you can drill this thing into the ground every year, buy a new one and still be ahead of the expensive name brands that don't perform much better than this. I have had this same Drill Master for over 3 years with the same original battery and I am not very nice to it. I have attempted to drill through railroad ties until it smoked, and it is still ticking. I use it several times per week. I just can't say enough about the ROI on this tool! A very useful tool, especially when working on computers. This is an absolute must when performing "periodic maintenance" on most any computer, but especially those tower case machines that have been stuck under someones desk for years! 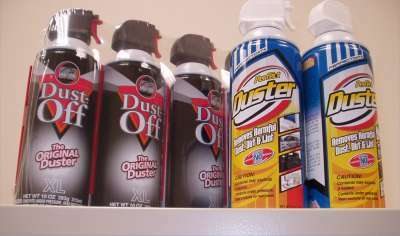 A can of compressed air and a soft brush will work wonders on those dust bunnies. Also, when those ominous squeaky or growling sounds start coming from the internal fans, give them a good shot from a compressed air can to clean out the dust. Sometimes, this alone with quiet a noisy fan and give it more life. Submit a suggestion for this section.